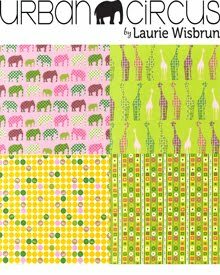 Laurie Wisbrun | Scarlet Fig: Sew Pretty Giveaway....and a super cute little sewing kit pattern! Sew Pretty Giveaway....and a super cute little sewing kit pattern! Who's ready for some new fabric? 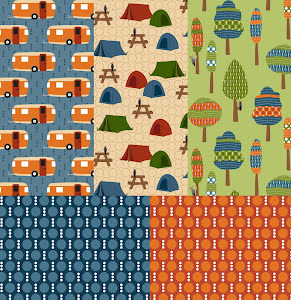 I'm super excited to share some sneak peek shots of one of two new lines for Robert Kaufman shipping this fall. Meet Sew Pretty! I had so much fun designing this line and hope you're as excited to start sewing with it as I am to see what you make. Sewing machines, pin cushions, scissors, thimbles, buttons, thread, safety pins, tape measurers, buttons... and of course my weapon of choice, the trusty seam ripper! A few weeks ago, I was on Instagram and spied an adorable sewing kit project from Lee over at May Chappell. 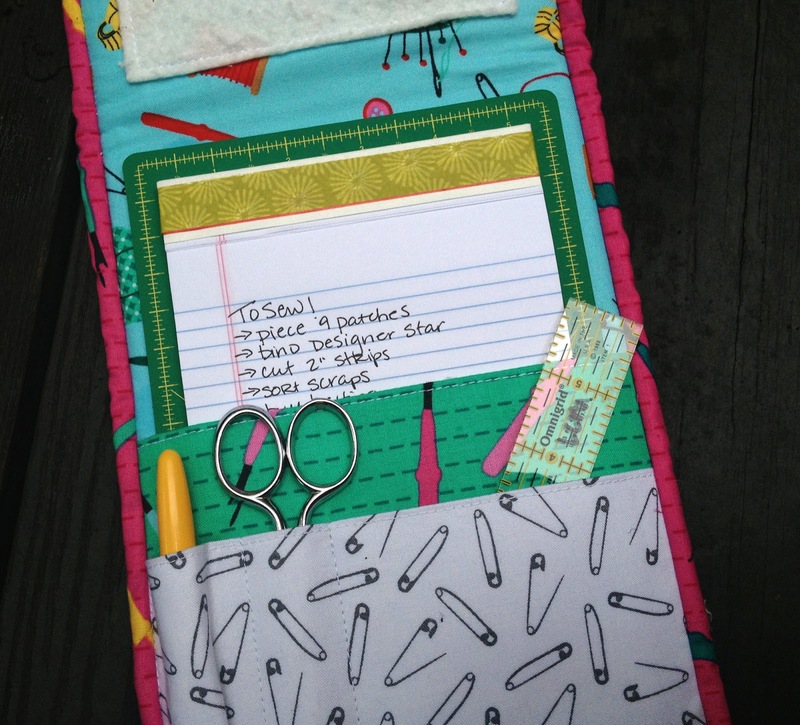 And I was beyond tickled when she agreed to make up a version of her All Sewn Up sewing kit using my Sew Pretty line. Sew, sew cute, right!? Her pattern is available here and she's selling a kit that includes all the supplies you'll need (except fabric) and the pattern. 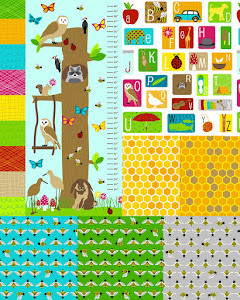 Sew... to share the goodness, Lee and I are each giving away a FQ set of Sew Pretty + a copy of her sewing kit pattern. Enter to win here by leaving me a comment before the morning of Monday 7/15/13. I'd love to hear what you'd make with Sew Pretty! As always, international entries are welcome and make sure you leave me a way to contact you. After you leave a comment here, hop over to May Chappell where you can enter to win her giveaway as well. Good luck! O I love it. I would make a sewing machine cover. My sewing machine is waiting for me to make her one and this would be perfect. I love the seam ripper fabric. Not sure I've ever seen that before and the green is beautiful. I also love the safety pins, which, being British remind me of 1970's punk rock.n Not sure what I would make so went for inspiration over at sew mama sew and think I would make a mouse mat that i could use whilst blogging. Love the new fabric. It is cute! 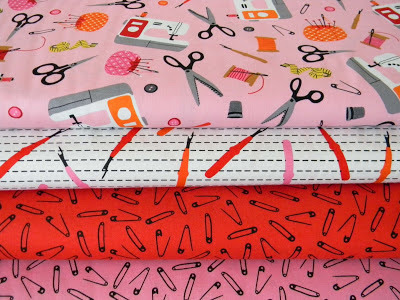 I would love to make a sewing machine cover, a pin cushion and a pouch to hold my scissors and seam ripper at the ready. LOVE this fabric!!! 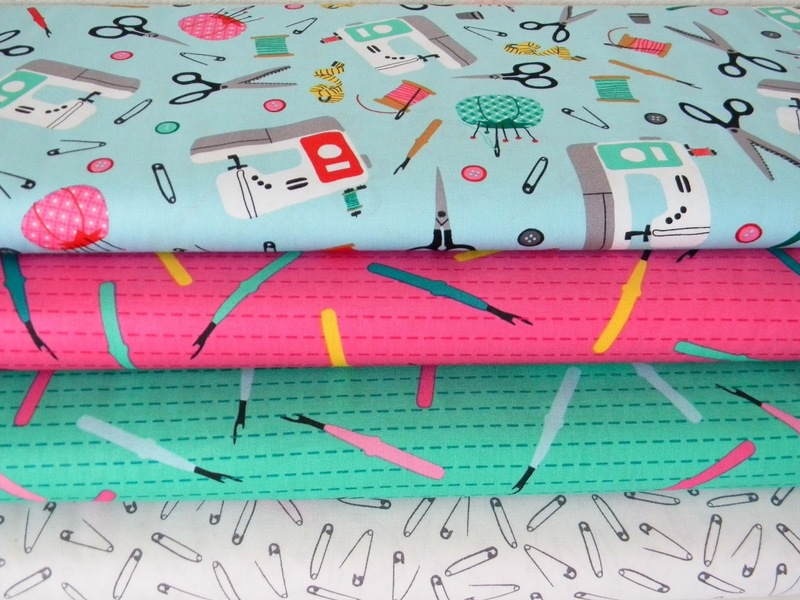 I am loving the safety pin fabric and definitely need some of that in my life. This would make some cute project bags! Love the fabric - great colors! This would be perfect for a sewing machine cover and of course, Lee's sewing kit. Thanks for sharing your goodies with us! I'd make a sewing machine cover for my new machine. The selvage edge on your fabric is adorable and I love those seam rippers! I like the idea of making a sewing machine cover. Thanks for the giveaway. either a quilt or a sewing machine cover. always love your collections! Wow! 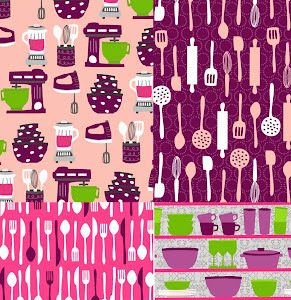 What a lovely range :) I'd love to make an organiser for my sewing room with this line! I LOVE this fabric -- it's amazing and I Love that you paired up with Lee (she's a personal friend of mine). When I saw the line I instantly wanted to redecorate my sewing room with it and make a table skirt, curtains, machine cover and of course Lee's awesome sewing kit. I am in the process of moving a sofa out of my sewing room and as a result I will be rearranging and redecorating the space -- can't wait for this line to come out. Thanks for the awesome giveaway opportunity. I would make c cover for my serger. Thanks! 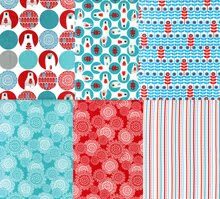 I would make a cover for my sewing machine with these gorgeous fabrics - love this new collection, such great colors & the prints are so cute! Thanks for the chance to win. Oh my, I love this fabric! So cute! To start I think I would make a cute tote bag for me. 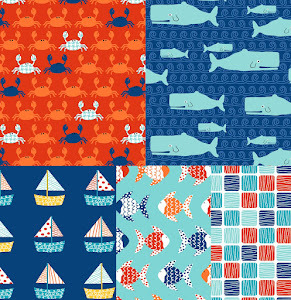 This is a great and fun fabric line. I especially love those safety pins! I would plan on making the sewing kit - I've been eyeing it and am so glad Lee released a pattern! Thanks for the chance to win. This fabric would be perfect for some essential pieces for my sewing room. 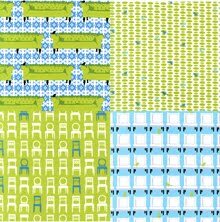 It's currently being put together, but I can totally see this fabric as a dresser top pressing board, a patchwork chair cushion, and even a cute sewing machine cover. Crossing my fingers! Loving this fabric :). I would make a basket for my sewing area to catch all of my scraps while sewing. This would be the perfect fabric. Pouches and totes to hold sewing things of course. 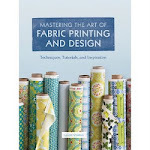 Would be perfect to take to quilt classes! Great fabric! I would make a cover for my sewing machine and a cute pincushion! awesome fabric! i desperately need a new sewing machine cover. i think i'd use it for that. It's gorgeous! I would make a zip top bag for my sewing machine accessories and a sewing machine cover as I still have the boring plastic one which came with the machine right now! I would make a divided fabric basket to organize my sewing room! I would love to make some round bottom baskets from FITF and maybe a machine cover! Love the safety pin print so much! Really like this fabric! I need a sewing machine cover with curtains and valence to match (right now have a sheet over the window! )for my sewing room! This fabric is awesome, I love the safety pins... I know what I would make for sure. I'm redoing a bedroom into a sewing room and I would love to make some fabric baskets and a sewing machine cover. These would be great for that! Please enter me to WIN WIN WIN! 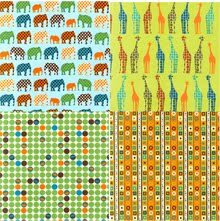 I have pinned a lot of different sewing machine covers - your fabric is made for that! Thanks for the give away! I love that sewing kit design. And what fun gifts it would make too! Of course that fabric is perfect for this design, a sewing machine cover, curtains in my sewing room, etc. 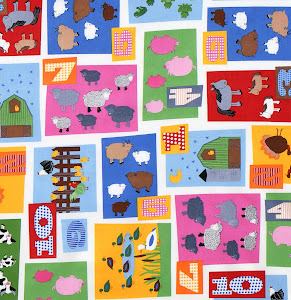 But I think it would also be fun to make a lap quilt for some special quilty friends with this beautiful fabric. Thanks for the inspiration and the opportunity! it'd be lovely for storage baskets and bags for a sewing room I think. Thanks for the give away! Seam rippers?! Brilliant! A bag would be super cute in this line. Reupholster a chair in it, perhaps? Endless possibilities! Eponymous fabric. cos it is, isn't it! I make bags. So I'd make a bag with it! or a purse. or a cosy, something along those lines. I have a seat form that needs covered for my sewing chair. It's wood- no cushion right now :( this would be perfect! I'd make an eReader cover and my laptop needs a little fun too. Mug Rugs are my latest passion. Thread Selvage?? SO cute! Love this! Screaming to be made in to a tote bag! 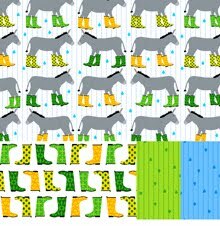 I think I would make a tote bag with the fabric! Oh my gosh! First I'd make a pincushion but then I'd have to make an iron board cover to match and of course get a bunch more for swap things! The seam rippers just get me! 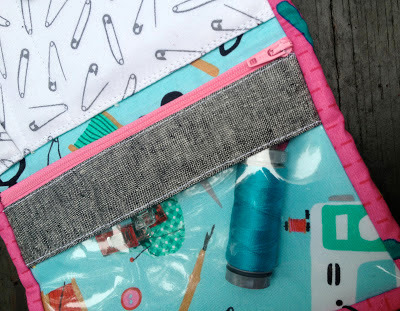 a SEWING CASE FOR TRAVELING! Certainly I would make up Lee's pattern, but since I am sure there would plenty of left over fabric I desperately need to make myself a sewing machine cover since my machine is so very dusty right now! I want to make the sewing kit! It's so cute! Thanks for the chance to win! I can't wait to get my hands on this fabric! So cute!!! Those seam rippers are calling to me and I love the running stitch they are sitting on! 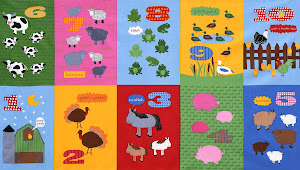 With FQs I would make a quilt for ME! 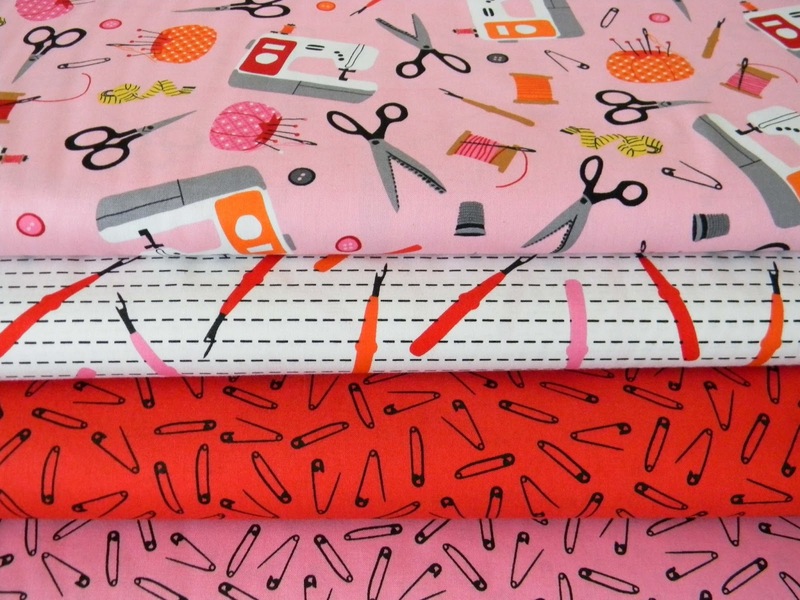 But I think I might have to make a top with the white/pink/orange seam ripper fabric! I love it! I would love to make the little sewing kit -- and maybe some pincushions. 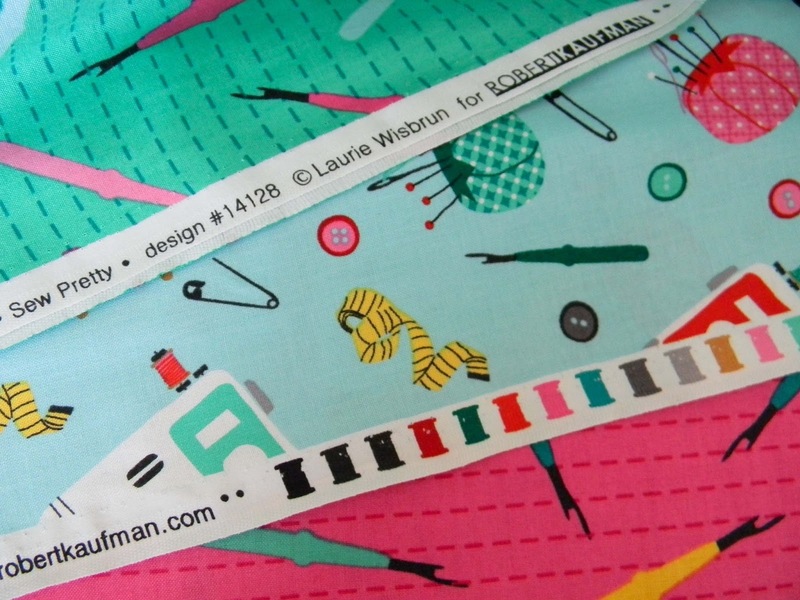 Love the seam ripper fabric -- most used notion in my sewing room. I might just have to display these on my sewing table where I could pet them every day. So cute! I think it would be just adorable worked into a quilt and let the folks find the hidden treasures. Oh, this line is just adorable!! I'd have to make a pin cushion and maybe a sewing machine cover. oh such adorable fabric and I would like to make the sewing kit with this.. and also maybe some pretty sewing pouches to put in all those knit-knacks. I'd start with the sewing kit and also make a sewing machine cover and pincushion and, if there's enough left, some fabric baskets to store odds and ends. I think I would start with a sewing machine cover! I love this fabric! I've been looking for a sewing fabric that I can use to make one of those cases for cutting mats and tools for classes. I love the pattern and the fabric. The pattern is exactly what I have been needing--would make one for me and a few more for friends and family. Then I would get more fabric and make a retreat bag so I can stop schlepping these Ikea bags! I'd make a 241 tote!! This is so cute! It would make a great chair cover for my sewing room. Definitely would make a tote bag. Too tough a choice to make...but the one with the sewing stuff and seam rippers, and white safety pins would make a great sewing kit. Love the fabric and sewing kit. Would make the sewing kit and a tote bag to carry my projects in. these would make some cute zip bags for storing those trusty seam rippers & safety pins and marking pens! I am going to make Lee's sewing kit with your fabric. And I need a thread catcher, so I think one make from your line would be so cute. I also want to have the safety pins as a stash basic! Great fabrics and thanks for the chance! I think I'd make the sewing kit and a tote to haul stuff around in with the leftovers. Love the seam ripper fabric- they never get any love! I would love to win this! 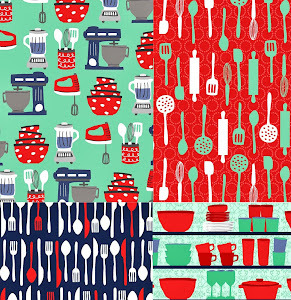 I have a "thing" about sewing item fabric!! 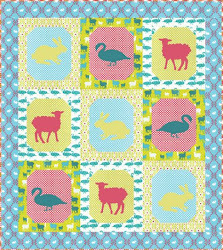 Oh I would make a lap quilt for myself!! I will use it as a cover for reading when it's chilly!! 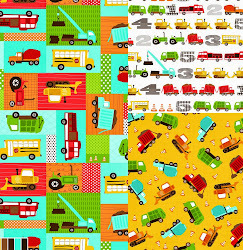 These fabrics represent my whole life of sewing/quilting!! I love this new line. I would make sewing accessories to use in my studio. 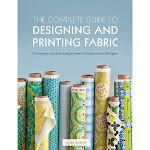 I am always ready for some new fabric...count me in! 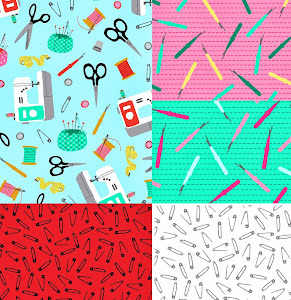 My favorite today would have to be the seam ripper fabric. Yesterday was a seam ripper kind of day. Nothing went right, but my motto is "stay calm and sew." 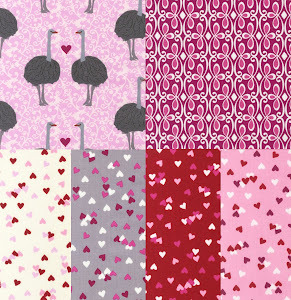 Very cute fabrics.. I love to make a zipper pouch with it. I need to replace all of my cloth napkins, and these will be adorable, especially when guests come over! :) Thank you! Pins pins pins - I love those pins!!!! I would make a set of nesting bowls to go in my sewing closet room. 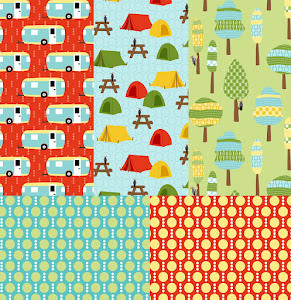 How adorable these fabrics are. What a cute kit! Thanks for the giveaway! I've been needing to make a cover for my sewing machine and serger - this fabric would be perfect! Cute fabric, love to win ti. I think it would make a cute bag! Love the fabric! I think my Janome needs a cover made from these! Me, I'm ready for some new fabric, especially when it's so cute!! I think I need a sewing themed pillow just for me! 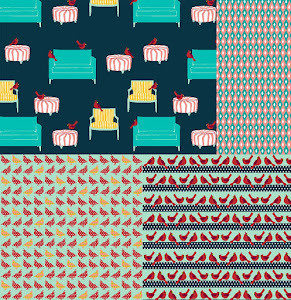 HELLO, LOVE THESE FABRICS! I THINK I'D LIKE TO MAKE A NEW SHOPPING TOTE! What a great fabric line! I love it. The first thing I would make is a new pouch to carry my growing stash of hexies! Thanks for the chance. i'd make this - what a fun use for the fabric! 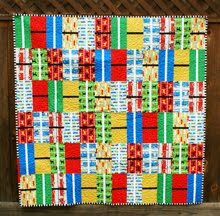 then, with my scraps, i'd make a mini quilt to hang on the wall in my sewing room! I think I would have o make a quilt or mini for my mom who sews from home for a living and taught me all about seam rippers. I love that pattern and the fabric! Thanks. Lovely fabric! 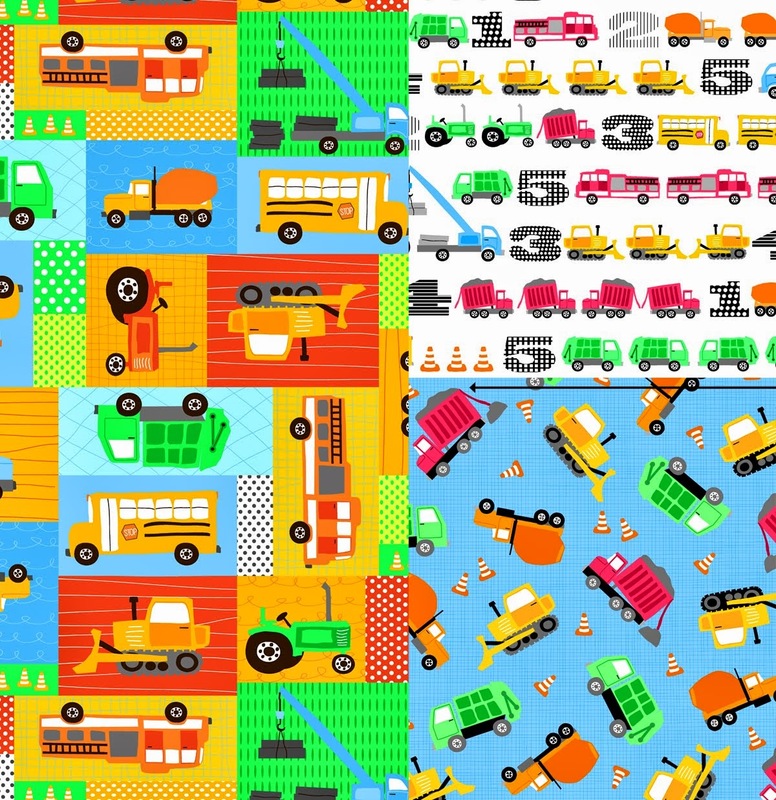 I need to make some fabric buckets for my studio and these designs would be perfect. 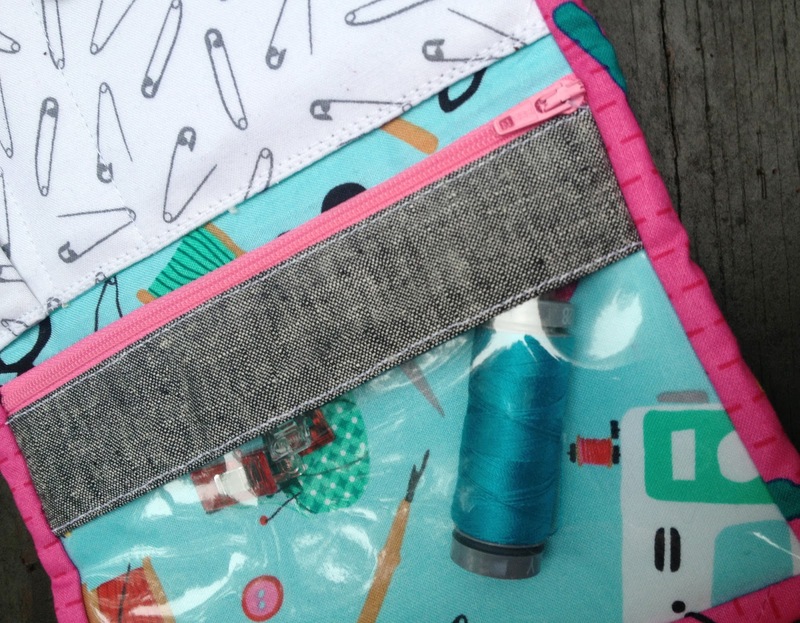 Any leftovers would be used for the Sew Together Bag on Craftsy - perfect for my sewing kit! Lovely fabric that would make great gifts or maybe I'd make a nice quilt for myself. Some ideas I have that I could use the fabric for is table runners/toppers, neck wraps, purses, possibly a dress/blouse, ets. Endless options. Thanks for the chance to win. Oh I am "sew" in love with that new fabric. 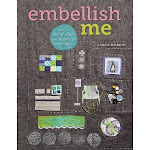 It is gorgeous and would look great in my sewing room chair cushion, pin cushion. Ironing board covere possibly curtain or valence...Very nice. Such adorable fabric. I would love to make some sewing room accessories. This is adorable. I was thinking if I were to make sewing machine covers I would like them to be like these, or an iron caddy would be cute made out of this. I love this fabric, it is so cute. 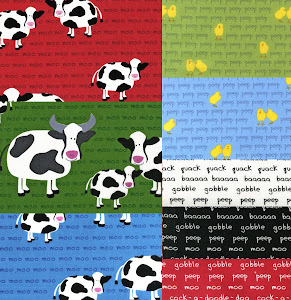 I would make an apron with this fabric. I would love to make one of those sewing kits! I think there would be fabric leftover that I would roll into my hexie project, and maybe a zip pouch for those hexie bits, too! 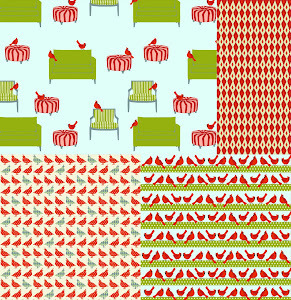 love the fabrics!and such a cute pattern. 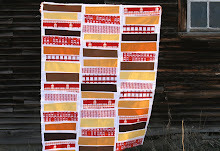 This fabric would be great to make pillowcases to take to the next quilt retreat. I love this fabric. I need a new cover for my sewing machine first, and then maybe some small bags for my sewing friends. I would love to make a sewing machine cover with this fabric AND that sewing kit. Great fabrics! What great colors! Love the salvage too. Would LOVE to have the fat quarters and pattern. I would love to make a sewing kit, just so cute and useful. Thank you for the chance to win. 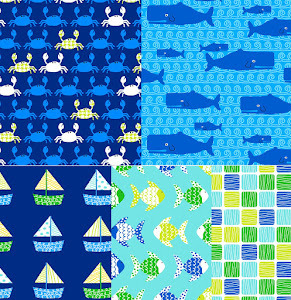 I'd make some fussy cut hexi's and make a cute pillow out of these fabrics. Of course I would make Lee's Sewing pouch! She is awesome! 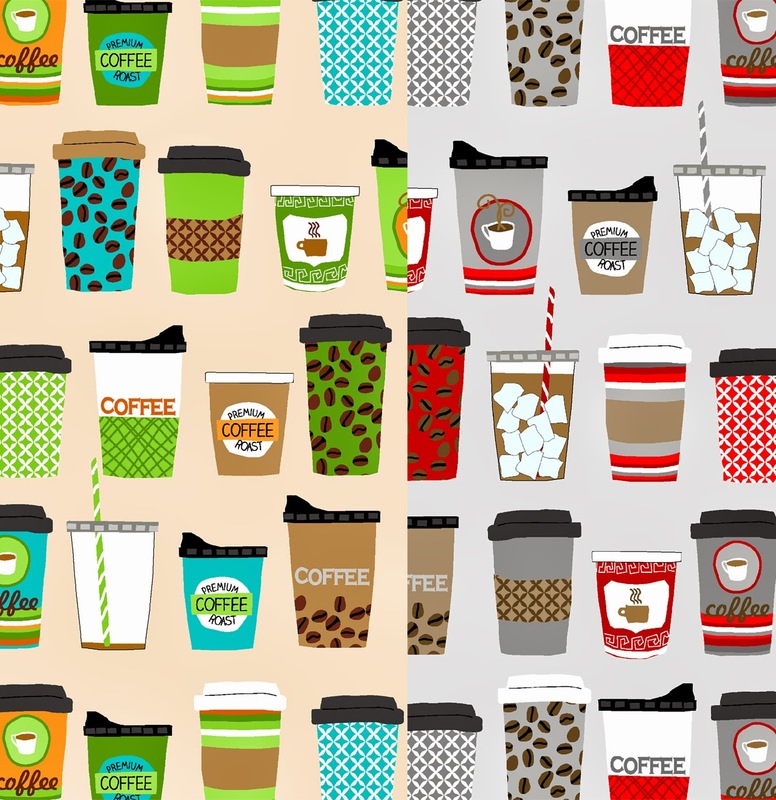 And I adore all the patterns in this collection. Congrats on a great collection! I would make some sewing machine covers and some thread catcher bags! 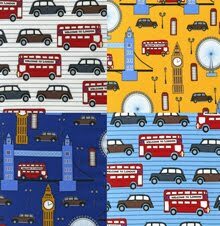 Great fabric designs! Anything made out of this fabric would be perfect! I would make a quilt first, then a skirt and then a sewing machine cover! I'd have to make a sewing machine cover. I would make her sewing kit, I love it! Love it!! This might be the perfect fabric for covers for my sewing machine and serger! I absolutely love this line - and especially that little thread detail on the selvedge. No one can resist a cute selvedge right? Well, first things first, I would definitely make a sewing kit for my quilting buddy and one for myself so that we can be 'twins' when we get together during our breaks at work to quilt!!! Definitely part of a quilt! thanks for making it open to all. Much appreciated. LOVE THOSE PRINTS!! Lots of items for sewers can be made out of them. What delightful fabric! And I love the sewing case too. I would make one for all of my sewing friends. Thanks for the giveaway. Gorgeous fabrics! Thanks for the opportunity to win. I would love to make a sewing machine cover with them, and maybe a cushion for the chair in my sewing room. sew cute! pun intended! LOL, I need to make one of these cases, I have an old one that was my grandmothers that is VERY small and falling aparet! I hoard adorable sewing-themed prints until I have a sewing project that needs a cute, fussy print or two. 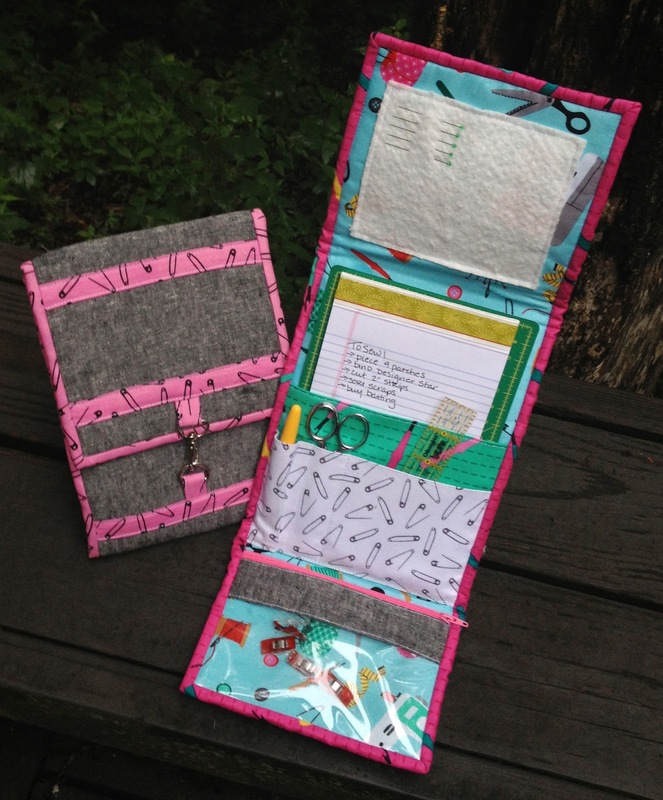 It might be paper piecing, or a zippy pouch for a friend, or recently, a travel sewing kit too! I like curtains for the craft sewing room, that also doubles as a small guest bedroom. Maybe use some of the great patterns in this line in a bed cover along with some solid, non-print fabrics that go along with the print colors. Little baskets for my sewing room would be so charming all made up in your fabric! Thanks for the chance to enter this fun giveaway. And isn't Lee wonderful? I am a big fan. I love all your fabric designs but this has got to be my favorite. It is awesome. I love the little pins. Thanks for the giveaway. 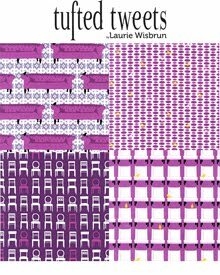 Oh this is so lovely and I think it's about time for a sewing machine cover. Love this sewing fabric! Thanks for a chance to win! 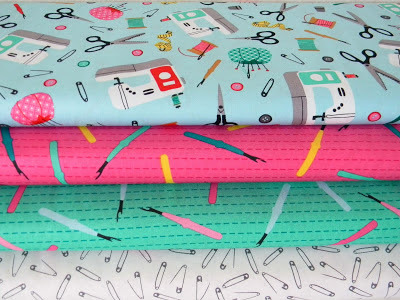 Love this sewing fabric! Thanks for the chance to win. 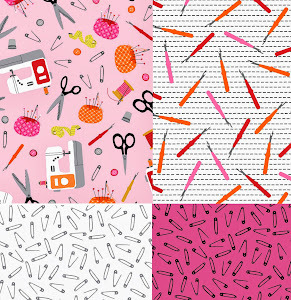 Love this sewing fabric! Thank you for the chance to win. I love this!! The fabric and sewing kit are so cute!! 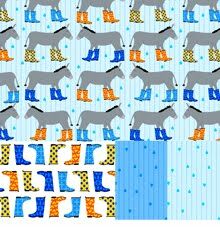 I would love to make a sewing caddy using this fabric. I think it would be so cute! Thank you for the opportunity!! What wonderful fabrics! I'd have to make some zip bags or a purse. I WOULD LOVE TO MAKE A WALLHANGING FOR MY NEW SEWING ROOM. 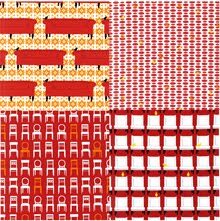 I would love to make a cute craft apron like the one in Ayumi's Patchwork Please book . I love these fabrics and I love the little sewing kit made by May too ! I would love to make a tote to take to classes. Anything in the sewing room would be so nice, oh and a sewing quilt. The colors of this line are fabulous! Can't wait for it to be out. Ekkkkk! Love it!! I think it hey would look lovely in some pouches! Fabulous designs! Thank you and well first I am thinking my grad school boys need a sewing kit! Totally could use this line and have them ready to attach their own shirt buttons and repair those hems! hopefully.... and then a sewing machine cover my daughters "new" sewing machine - she would love the seam ripper fabric! thanks! Oh My gosh, love the fabric and the pattern! I have been bringing some small projects to work with me to work on at lunch and I was just saying that i needed to make a little sewing kit rather than throw everything in my purse! Again a great design, I just love the selvage! The suggestions for a sewing machine cover are good, but I also see myself making some bags. Thanks for this giveaway! That is such cute fabric. I could use the seam ripper fabric and put a piece in just about everything I make as a remembrance..ha! Starting on Christmas...would make a set of sewing accessories...tissue holder, sewing kit (this one), pincushion, needlecase, rotary cutter holder, etc. Love this line of fabric. I would make a Sewing machine cover and a thread catcher! That sewing kit is adorable. Thx for a chance to win this giveaway! Perfect for a sewing machine cover or ironing board. Oh my gosh I love it, I would make a sewing machine cover. Thank you. this is a cute sewing kit! What sweet fabric...I'd make some pillows for my sewing room with it. Thanks for the chance. I'd definitely have to make something for my sewing room. I've been eyeing Terry Atkinson's hand sewing project tote before I saw the May Chappell version. Both are great! Those are so cool.....I would make a sewing basket with each of the fabrics because the fabric would be the baskets label....have a great quilting day. Thanks for the giveaway! I would love to make the sewing kit or I would make a pin cushion/sewing machine/ironing board caddy. I would make a sewing machine cover...been needing one of those! I would make the sewing kit and maybe a machine cover. Yes, sewing kit for me also, or-- better yet, an Apron for Quilting. Since I longarm and teach, I need lots-o-tools at my fingertips & if I had just the right apron, I wouldn't keep losing stuff! How much better could it be than to use sewing fabrics for my sewing apron? Super cute!!!! I think a sewing machine cover would be awesome...and a new ironing board cover too! Very cute, I would use the fabric for a sewing machine cover for sure! This fabric is awesome!!! I would most definitely make a sewing/craft apron. A sewming machine cover. Thanks for the chance! Throw pillows and pillow cases,lap quilt and a sewing machine cover.....one or two of the previous mentioned. Thanks for the chance. I love the pin cushions in the fabric and the kit is amazing. I want to make a cute little sewing machine cover with this adorableness. Oh, that's cute fabric. I'd made some pin cushions and a sewing machine cover ~ or maybe a new ironing board cover, the one I have now is a disgrace ~ LOL! Cover for the sewing machine! That is so stinkin' cute! I need a sewing kit...STAT!! A table runner would be a great conversation starter! Too cute! I would love to make a zip pouch to keep my sewing things when travelling. How cute! I would make a bag to carry my projects with me! Making curtains for the sewing room is top of my to do list, and thisis the cutest fabricaround! Looks great for a sewing tote bag. I make them in various sizes depending on which project I'm working on. I am in love with your seam rippers! My first project would be a new cover for my sewing machine followed closely by pin cushions for my quilty peeps. Great fabric line. love this fabric! I am in a swap and I'd use it to make a triple zip pouch for my partner. Thanks! Love this fabric and the colors!! I would make this sewing kit, the fabric is perfect for it. Thank you for this great giveaway. I am envisioning a simple dress made out of the seam ripper fabric! I think it's fabulous! Oh! I love the new fabric line! You're right, it's "Sew Pretty". I'd love to make some zipper bags and try it with a smaller bag pattern too. Super cute fabric!!! I would make a quilt with it. Thanks for the chance to win. Oh this fabric is wonderful. I'm thinking a sewing basket or zip pouch would be wonderful. That's the perfect project for your super-cute fabric. 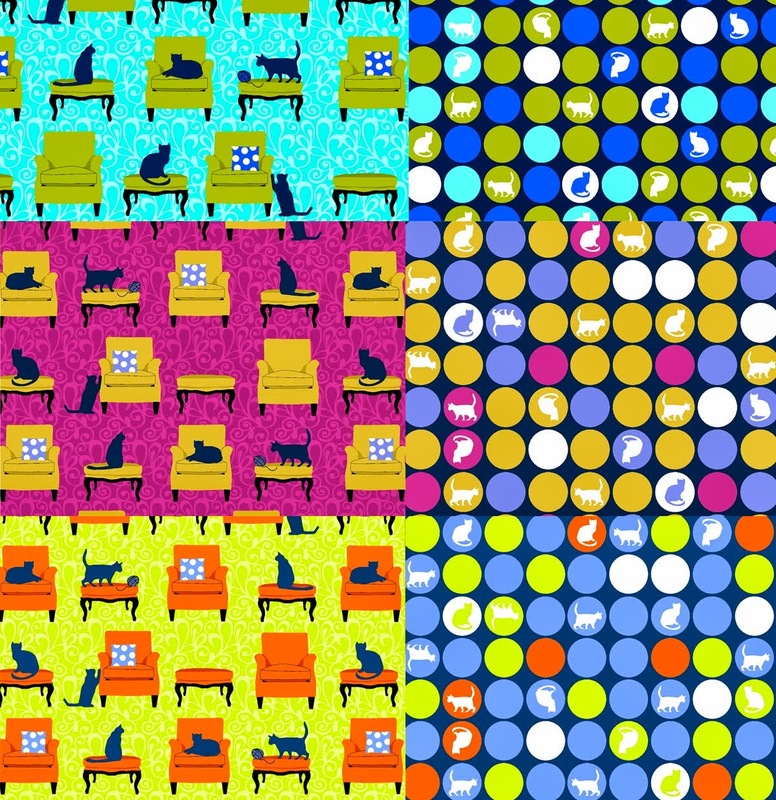 I especially like the sewing machine print! 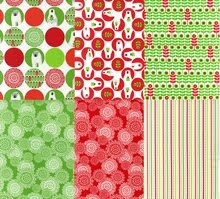 Adorable fabric line and perfect project for Christmas presents for quilty friends! Thanks for the inspiration and the giveaway! This fabric would make great sewing accessories: pin cushions, sewing machine cover, catch all. Love it!